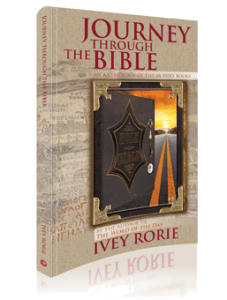 This book is an anthology, a journey, day by day through the entire Bible. It is not organized by day and date. It may be read at any pace. I do recommend that you read the entries in order, however. There are 66 individual devotions, one from each book of the Bible beginning with Genesis and ending with Revelation. That the God of the universe would write a love letter to me was a revelation. My desire, the reason for these devotionals, is that this same, very personal revelation will be yours as well. The whole Bible is for you. Why else would God bother to have it written down? This is the legacy that He has passed down to you through the generations. Every promise God has ever made is Yes and amen to you (2 Corinthians 1: 20). Not one single word has ever failed, even over the course of thousands of years. You are precious in His sight and He has sent this word of encouragement to you. As you take this journey with me, I hope you will see that every book of the Bible has wisdom and promise for you today. 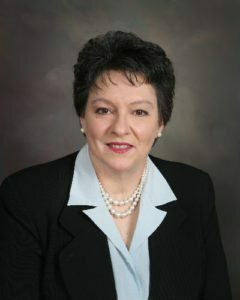 While practicing law at her North Carolina law firm, Ivey began to sense God calling her out of the legal profession and into full time ministry. After attending a conference where God spoke to her in a dream and where she saw the Holy Spirit, it became impossible for her to continue to deny the calling on her life that had been foretold thirty years previously. By October of 2006, she closed her law practice and took a leap of faith to enter ministry. In June of 2006, Ivey began producing the popular daily devotional, the Word of the Day, which is now read throughout the world. Ivey believes the Word of God has the power to set people free. This belief was the inspiration for the Word of the Day and inspired the book you hold in your hands. She considers it her life’s work to mine the Bible to bring us the golden nuggets of truth, delivering them in devotionals, books and speaking engagements. When not writing or working on her doctorate in Theology, Ivey enjoys the great outdoors where you can often find her hiking, biking, camping or kayaking.